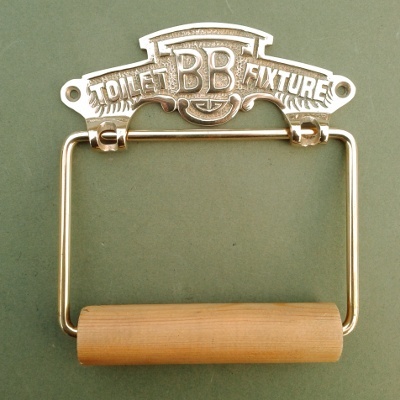 Add some finesse to your loo with our selection of traditionally made toilet roll holders which are faithful copies of original Victorian toilet fixtures. 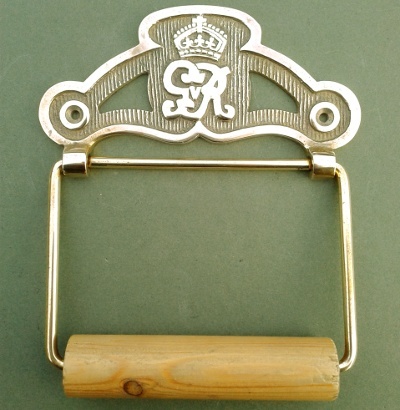 Original loo roll holders have been used to make new, authentic cast iron and brass toilet roll holders, which have been hand finished and left unlacquered. Our oak toilet roll holders are made in Shropshire by a local family run business. Or why not choose an upcycled old mill bobbin toilet roll holder, hand made in our workshops in Shropshire to create a unique twist for a period house, barn conversion or modern home. 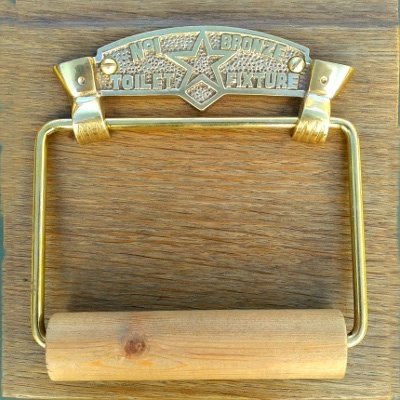 A superb Victorian cast brass toilet roll holder mounted on an oak board. Authentically cast from an original pattern. Hand polished and unlacquered. Sizes of wood 200mm (8") wide x 180mm (7") high. 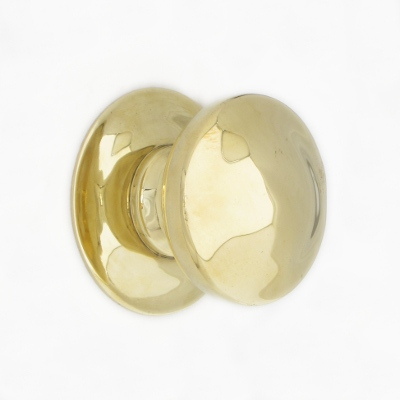 The solid brass BB toilet fixture will add a touch of class to your bathroom. Size: 55mm (2.1") high x 128mm (5") wide.